Sheryl Underwood, comedian and co-host of The Talk, is starting the New Year off right. She's teamed up with Metamucil to take the Two-Week Challenge to improve her sluggish digestive system, and wants viewers of the show and fans of hers to partake as well. "It couldn’t be easier – you take your favorite Metamucil, once a day for 14 straight days and then say hello to a lighter feeling," she said. "Plus, it tastes really, really good!" "It's a time frame that's good for me and I wanted a lifestyle change," she added. "This Metamucil is portable, easy to carry, plus you can mix it in water or juice or a smoothie." Something Underwood doesn't have to worry about is getting her Talk co-hosts to join her lifestyle choices. "Carrie Ann said she's already doing it!" she said. "Everybody's doing it!" In 2019, Underwood is looking forward to working with Carrie Ann Inaba, who was announced as the new co-host replacing Julie Chen after her departure following her husband's allaged sexual harassment scandal at CBS. "Carrie Ann has a bubbly personality and experience in front of an audience. She understands our audience. I'm getting to know her — we're both single gals," Underwood said. "We have a connection, you know? A John Stamos connection. I got to kiss him on The Talk — which was a fabulous experience for both of us — then, I found out she dated him. We laugh and joke at our end of the table." 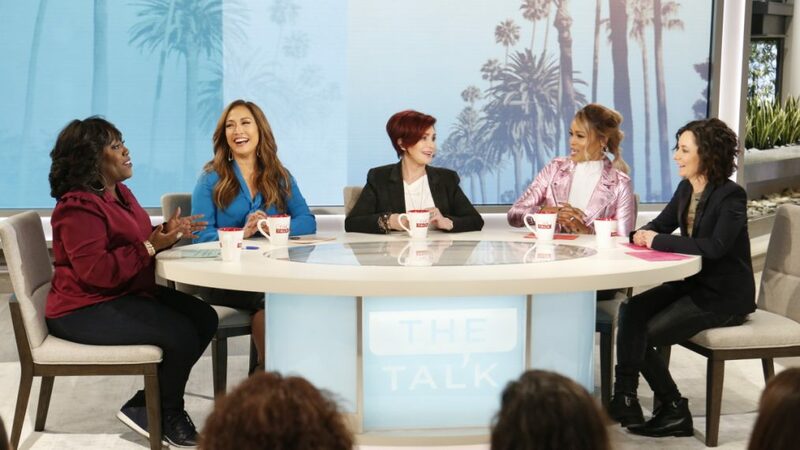 What do you think makes The Talk stand out from other female-driven talk shows like The Real and The View? Sheryl Underwood: I think we all have our way of communicating with our audience. We are a respite from your day. We may make some profound statements but we're more conversationalists. When we see the ladies from the other shows at the Emmys or something, we're all excited. There's enough out there for everybody." Does being a comedian give you an edge at the table? I think everybody at the table has a sense of humor. Sarah is a comedic actress but her humor is a little more subtle than mine. Sharon has that British eccentric wit. We're a strong comedy table but our power is in being relatable. Have you recently spoken to Julie? I haven't. I was sick over the holidays, so I didn't actually talk to her. I will always love her. She's like a big sister to me. This job was my first consistent TV job on a number one network and to work with such a professional like her was amazing. She taught me how to be my authentic self. I'm happy right now with my radio show, podcast, and The Talk. I am going on a comedy tour for two years. I'm feeling good and have a lot of energy.